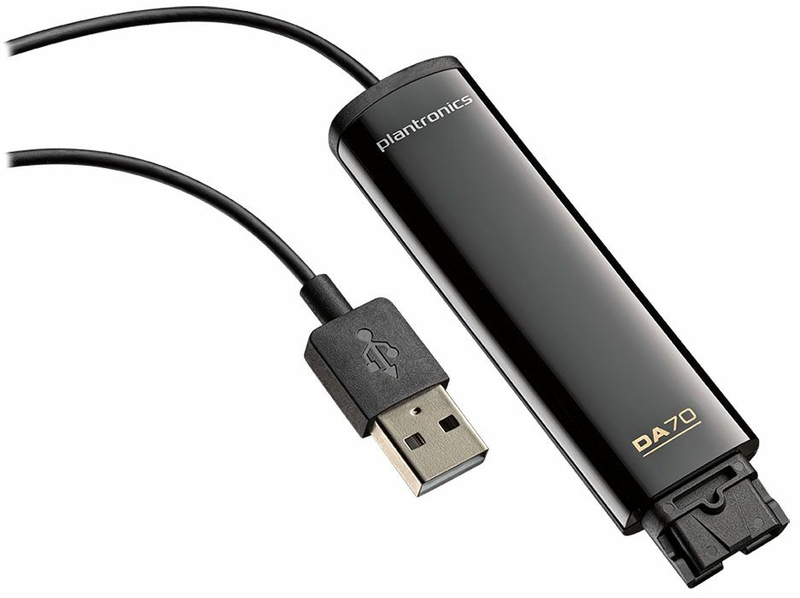 The Plantronics DA70 USB Audio Processor connects your compatible Plantronics wired headset to the USB port on your PC (softphones) or desk phone. It offers exceptional audio quality and control while helping you gain deeper insights, and meet OSHA and Noise at Work specifications. When combined with Plantronics Manager Pro, an additional service, you will be able to communicate with intelligence and create new experiences for your team and customers.